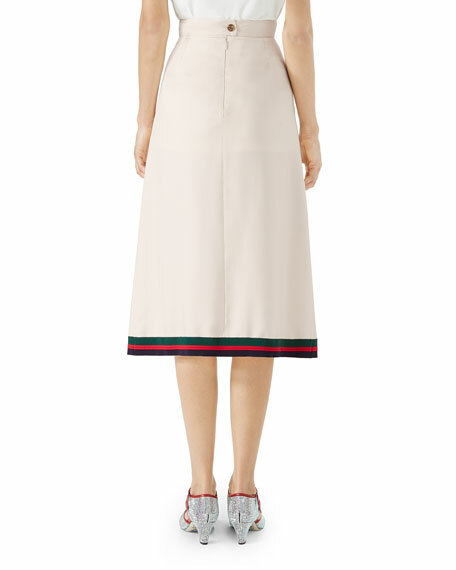 Pleated silk skirt with logo topstitching. Partial back zip & button tab. 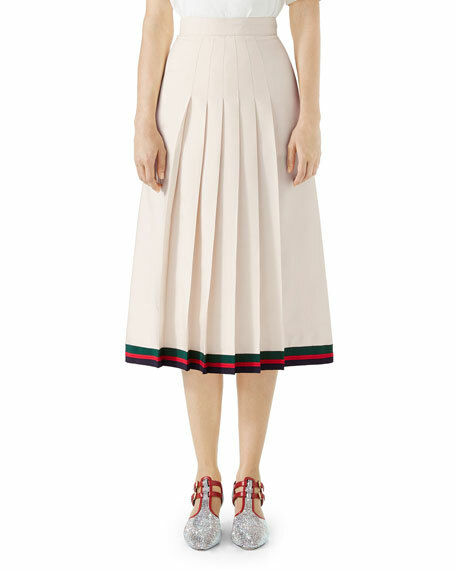 For in-store inquiries, use sku #2499139.